The social welfare is exceeding expectations, and we are firmly optimistic about the trust. 1comment 2019-04-15 08:19:17 source:Dongwu non-silver The second beauty energy comes! This week's core point of view in March, the social welfare data exceeded expectations, and firmly optimistic about the trust sector! This week's non-silver sector recommended sort: Trust >Broker>Insurance, the first push of individual stocksAijian Group(Quotes600643,Medical stock). Trust: The social data exceeded the market expectation, including 35.8 billion new trust loans in March, compared with 3.27 billion in the same period last year, and reconfirmed the continuous growth of the collective trust. The new issuance scale of the collective trust in March was +11% to 212.7 billion. The year-on-year growth rate in January and February was +9%/+51%), and we are firmly optimistic about the trust sector. From a fundamental perspective, regulation has ushered in marginal easing, superimposed trust asset quality improvement, medium-term profit may be significantly better than market expectations, continue to be optimistic about the industry's improvement trend continues, individual stocks first promote Aijian Group. Brokers: This week, the sector has been adjusted, mainly due to the monthly report of brokers in March, which is expected to be honored (although the profit is generally high, but the market has already expected). It is expected that the performance of the sector will benefit from the market sentiment next week. Warming up, optimistic about the profit-making brokers of the science and technology board and the target of performance flexibility and valuation support, such as the target of relatively high self-investment flexibility (ie, the high-scale equity assets), such asHaitong Securities(Quotes600837,Medical stock),Oriental Securities(Quotes600958,Medical stock)Wait. Insurance: current locationInsurance unitThe valuation is still low. Although the long-end interest rate has downward expectations, but the space is limited, considering that the new single premium will improve slowly in 2019, and the stock market rise is expected to drive the investment income and profit of the insurance stocks to break out. The insurance NBV and net profit are expected in the first quarter. Better than expected. First stockXinhua Insurance(Quotes601336,Medical stock),Ping An(Quotes601318,Medical stock). In the short-term, the positive policy level and the expected recovery of earnings are still the main drivers of non-silver investment. In March, the amount of social data is expected to continue to boost the market, and the beta property of the sector is expected to continue to be highlighted. In the long run, we believe that "financeSupply side reform"It is still the main investment line of the sector, and brokers and trusts are expected to fully benefit fromcapital marketConstruction and direct financing development. This week, we will focus on the financial opening up under the main line of “financial supply-side reform”. 2) Brokers: Previously single-licensed joint venture brokers were limited in profitability (difficult to share bullish dividends, ROE was lower than the industry average), low market share, and prone to conflicts in management concepts (Hua Ying, Yi Mo Morgan have returned to pure domestic capital) Holding). After the securities brokers are fully open to the outside world, they are expected to have less impact on the domestic retail business (the domestic market is more competitive, the pattern is relatively fixed, and the foreign brokerage firms lack channel advantages), but the foreign-controlled brokers have advantages in institutional business and wealth management, although in the short term Foreign-funded securities companies are subject to the development environment of the domestic market, and it is difficult to replicate their operating models in China. However, in the long run, it is expected to promote institutional and innovative business competition.Brokerage institutionReshaping the business system. The policy continues to spread, and the pace of opening up to the non-bank financial industry is accelerating. In April 2018,Central bankAt the Boao Forum, President Yi Gang announced the promotion schedule of 11 specific measures for the opening up of the financial industry. Since the second half of last year, the financial foreign policy has accelerated. Most of the measures on the current timetable have already landed (such assecurities company,Fund management companyPersonal insurance company,Futures companyThe upper limit of the foreign shareholding ratio is relaxed to 51%; no longer one of the domestic shareholders of the joint venture securities company is required to be a securities company; the insurance brokerage business scope is allowed; the foreign investment is allowed to engage in insurance agency and public valuation business, etc. ), the foreign-controlled insurance company and Foreign-invested securities companies have been established one after another, and the pace of opening up the financial industry has accelerated. InsuranceThe opening hours are the earliest and the most powerful, but since the development, the share of foreign insurance in the domestic market is still relatively small. 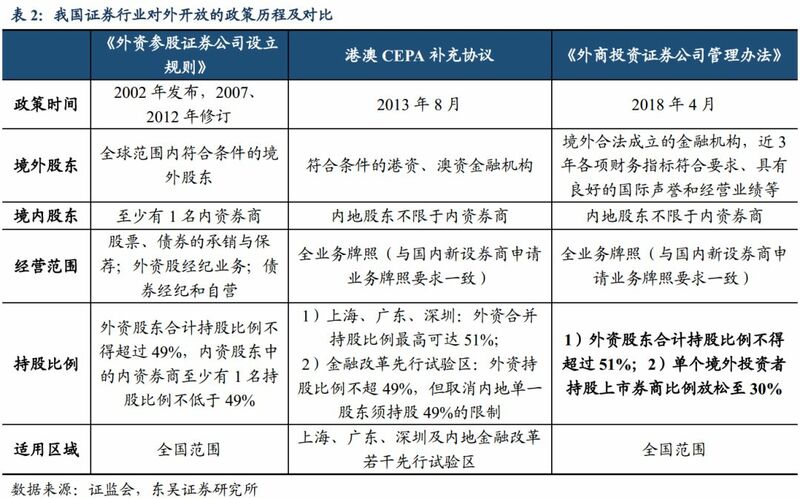 In the insurance industry, since China was admitted to the WTO in 2001, 12 foreign companies such as New York Life Insurance, American Metropolis, and Japan Life Insurance have obtained market access permits and entered the Chinese market in a big way (but they must form joint ventures with Chinese companies, and The shareholding of foreign capital shall not exceed 50%). In the past two decades, although foreign-invested insurance companies have gradually moved forward, their development has been relatively slow, and their share is still small. As of the end of 2018, among the 91 companies in the life insurance industry, foreign life insurance companies accounted for 28, accounting for 31% of the total, but the premium income accounted for only 8.1%; among the 88 companies in the property and casualty insurance industry, foreign property and casualty insurance companies accounted for 22 Accounted for 25%, but the premium income accounted for only 1.94%. Cultural differences, internal and external shareholder conflicts and less channel layout are the main reasons for the relatively slow development of joint venture insurance companies. The slow development of joint venture insurance companies is mainly: 1) the understanding of China's insurance market is relatively insufficient, and there are differences in culture and business philosophy (such as small and medium life insurance companies relying on medium and short duration product impulses in the past few years, while foreign investment management concept is relatively stable); There is an inherent contradiction in the joint venture model.insurance industryThe long profit cycle requires shareholders to have long-term investment philosophy and financial strength. The Chinese shareholders of the joint venture company generally come from the non-insurance industry, and the business philosophy of long-term benefits is relatively weak. 3) The geographical and business scope is limited, and the channel outlets are relatively relatively At present, the branches of foreign-invested insurance companies are mainly concentrated in first-tier cities such as Beishangguangshen and Shenzhen. 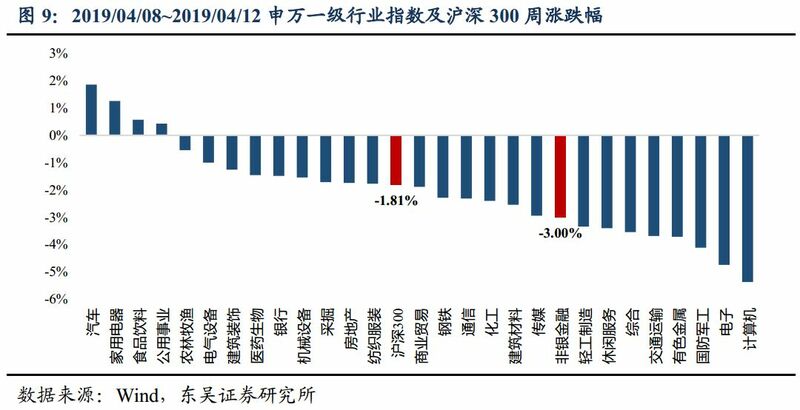 (In the case of AIA, only five branches were opened in China in 26 years, the agent size is less than 30,000, and the marketing channel coverage is significantly insufficient); Aspect, 2012To pay high insuranceAfter the policy was liberalized, the market share of foreign-funded property insurance increased to 2.2% in the history, but it was still subject to slow development of branches and outlets, and the market share was declining year by year. The insurance industry is fully open to the general trend, and the market share of foreign insurance companies is expected to increase, but the impact on domestic insurance companies is expected to be small. After the foreign investment is realized, it is expected to alleviate the problems of the business concept conflict under the original joint venture, and increase the construction of channel outlets. Its advantages in product services, actuarial pricing and global business resources are expected to gradually emerge. But overall, the impact of foreign insurance companies on domestic insurance companies is expected to be small. Drawing on the experience of opening up the overseas insurance market, Japan and South Korea were all opened in the mid-1970s. Taiwan was opened to foreign investment in 1986. Although it has had different impacts on the local market after opening up (such as the foreign-funded property insurance in Korea, the comprehensive cost of the insurance is fully released. The advantage of the rate has a certain impact on the market. The fundamental reason is that the Korean economy relies on the development of foreign investment, and the foreign-funded companies have greater power. But overall, due to the strong cultural and regional nature of the insurance industry, the local insurance market share is still basically Occupied by local insurance companies. The securities industry has experienced four major stages of opening up to the outside world: 1) The first stage (before 2001): The only joint venture brokerage is CICC (with a special historical background); 2) The second phase (2002-2012): After joining the WTO, BOC International, Goldman Sachs Gaohua and other joint venture brokers have been established, but the scope of business is limited, especially the A-share brokerage and A,B sharesTrading business, UBS Securities was established in 2006 (through a premium restructuring of Beijing Securities), breaking through business restrictions to become the second fully licensed joint venture brokerage; 3) Phase III (2013-2018): Under the CEPA Supplemental Agreement, 4 Hong Kong and Macau The joint venture brokerage has been approved (Shengang, Huajing, East Asia Qianhai and HSBC Qianhai), and the business scope has been relaxed to full license. 4) The fourth stage (since 2018): After the issuance of the Measures for the Administration of Foreign-invested Securities Companies, the foreign-invested shareholders' shareholding limit was raised to 51%, and three foreign-controlled joint-venture securities brokers were successively approved, namely UBS Securities and JPMorgan Chase And Nomura Securities. Previously, the joint venture brokerage license was single, the profitability was limited, the market share was low, and management concept conflicts were easy to occur. In terms of profitability, in 2017, 11 joint venture brokers achieved a total revenue of 15.2 billion yuan and a net profit of 2.8 billion yuan, accounting for 4.88% and 2.48% respectively (and mostly contributed by CICC). In 2012-2017, the average ROE of joint venture brokers was -0.43%, 0.13%, 4.89%, 11.82%, 6.18%, and 5.21%, respectively, which was far from the industry. From the perspective of business structure, joint venture brokers lack a brokerage business license, and it is difficult to share the bull market dividend. The investment banking business is the main source of income. The business license license has resulted in a single income structure for joint venture brokers, which is greatly affected by the investment banking market (investment business and policy linkage). Limited development. In addition, due to the fact that foreign capital could not be fully controlled before, the management concept of joint-stock brokerage shareholders is prone to conflicts (Hua Ying, Yi Mo Morgan, OrientalCitiAll of them have returned to pure domestic capital holdings. Foreign-controlled brokers have advantages in institutional business and wealth management, but overall it is expected to have little impact. From the perspective of retail business, the domestic market is relatively full-fledged, the pattern is relatively fixed, and foreign-funded securities firms lack channel advantages. It is expected that follow-up foreign-controlled securities firms will continue to extend the CICC model (using wealth management as a starting point to provide brokerage and consulting for high-end clients, Asset allocation, product sales, capital intermediation and other integrated financial services) have little impact on the existing retail brokerage business of domestic brokers. From the perspective of institutional business, the joint venture brokerage has been carried out in the early stage (such as investment banking, asset management business, etc.). Although the investment banking business of foreign securities firms has experience and resource advantages in overseas mergers and acquisitions, cross-border business, etc., the current domestic market environment is Demand for market-making and cross-border business is still small. Therefore, it is difficult for foreign-invested securities companies to replicate their operating models in the short-term. In the long run, it is expected to promote institutional and innovative business competition, forcing the reorganization of the domestic brokerage business system. The non-silver sector was slightly adjusted with the market, and insurance performance was relatively good. This weekSSEThe KLCI fell 1.78% to close at 3189 points;Shenzhen Stock Exchange2.72% fell to 10132 points;Shanghai and Shenzhen 300It fell 1.81% to close at 4062 points. Among them, the non-silver sector fell 3.0%, and the fine-molecule industry insurance (-0.24%) performed the best, followed by diversified finance (-2.92%) and brokerage firms (-5.44%). In terms of individual stocks, within the Shenwan non-banking financial sector, the top five companies in this week’s gains wereMinsheng Holdings(Quotes000416,Medical stock) (+20.4%),Huatie Technology(Quotes603300,Medical stock) (+15.6%),Southwest Securities(Quotes600369,Medical stock) (+5.0%),Investment in the country(Quotes600061,Medical stock) (+5.0%),Panda gold control(Quotes600599,Medical stock) (+3.5%); the top five companies areDerivative technology(Quotes300176,Medical stock) (-40.9%),Huachuang Yangan(Quotes600155,Medical stock) (-17.7%),Easy to see shares(Quotes600093,Medical stock) (-13.9%),Soochow Securities(Quotes601555,Medical stock) (-9.1%),Everbright Securities(Quotes601788,Medical stock) (-9.1%). 1) The broker's monthly report in March announced that the profit continued to improve, and the net profit in January-March increased by +59% year-on-year. 40 listed brokerages recorded revenue of 33.218 billion in March, +45% from the previous month (comparable to 35% compared with 35%); net profit was 16.375 billion, +55% from the previous month (comparable with 35++59%); net assets increased from last month 200.53 billion; Huatai,Guotai Junan(Quotes601211,Medical stock), CITIC's net profit is the top three; Oriental, Huaxin and Central China have the fastest growth year-on-year; Southwest, Founder and Tianfeng have the fastest growth rate; Guangzhou,The Pacific Ocean(Quotes601099,Medical stock), Huaxin's net profit growth in January-March was the fastest. 2) The publication of the social welfare data in March: The daily data is much higher than expected, and the trust sector is firmly optimistic. The social welfare data was significantly better than the market expectation, including 32.8 billion new trust loans in March (-32.7 billion in the same period last year), and the scale of the collective trust continued to pick up. The new issuance scale of the collective trust in March was +11% to 212.7 billion (1/ The year-on-year growth rate in February was +9%/+51%).Trust industryActive transformation and active management, and short-term scale and profit recovery, is expected to drive the trust's quarterly results to exceed expectations. 3)RefinancingThe new regulations are expected to be loosened, and it is expected to strengthen supervision and relaxation expectations and boost brokerage underwriting sponsorship income. Refinancing supervision has been significantly affected by the tightening since February 2017 (--25% in 2017 and 2018, -41% to 1.27, 0.75 trillion). Since 2018, due to the liquidity of major shareholders + pledge Risks broke out, and the authorities tried to clear financing channels. If refinancing is loosened, the liquidity of major shareholders will be significantly improved, and the expectation of regulatory easing is expected to boost market sentiment. At the performance level, the brokerage firm will increase its contracted share of the underwriting sponsorship income by 30%. After the loosening, it will directly boost the underwriting sponsorship income. 4)Junzheng Group(Quotes601216,Medical stockThe acquisition of Huatai Insurance's equity was approved, and the shareholding ratio rose to 22.4%. 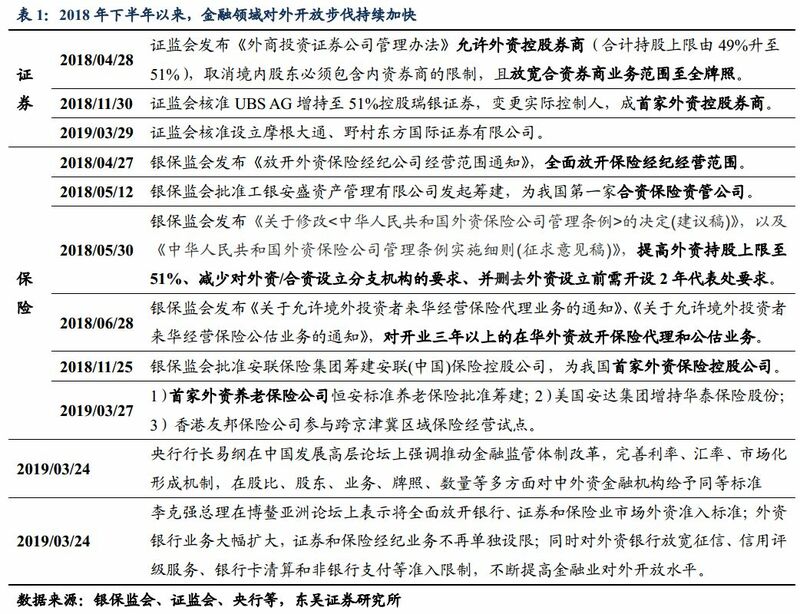 this timeEquity transferLaunched at the end of 2015, after the causeChina Insurance Regulatory CommissionThe personnel changes have not been approved. Since 2018, the minority shareholding of Huatai Insurance has changed frequently. At present, the largest shareholder of Anda has increased its holdings to 26% and obtained a controlling stake, which has transformed Huatai Insurance Group into a joint venture company. At present, Huatai Insurance is the only joint venture insurance group, which includes property insurance, life insurance, asset management, funds and other subsidiaries. Although the overall business scale is small, the development is stable, and the business scale is expected to expand after the concentration of shareholders. 5)GF Securities(Quotes000776,Medical stock) A quarterly report is expected to increase by 70%-95%. The company released a quarterly report forecast. 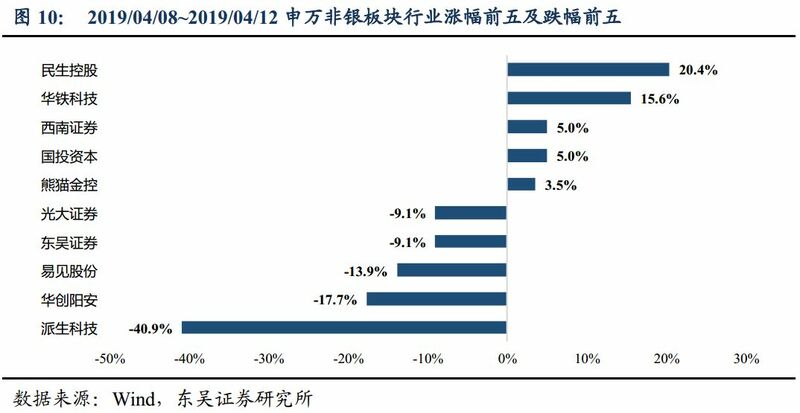 It is estimated that the net profit for the first quarter of 2019 will be 2.595 billion yuan - 2.176 billion yuan, a year-on-year increase of 70%-95%, which is basically in line with expectations (the monthly gross profit of January-March is 1.881 billion, +49% year-on-year). ), mainly due to the recovery of the market environment, the company's wealth management, investment management, trading and institutional business income have achieved growth. As the market activity increases, the equity pledge risk is alleviated, the self-operated investment income is raised, and the financial supply side structure such as the superimposed science and technology board continues to advance.Brokerage sectorPerformance is expected to continue to pick up. Secondary market: The average daily turnover of the market this week was 855.7 billion yuan, down 14.8% from the previous month, and the trading activity decreased. The balance of the two bonds was 969.2 billion yuan, and the chain continued to increase by 2.39%. The risk appetite is still rising. First-tier market: 1) IPO: This week, the China Securities Regulatory Commission issued three IPOs, undisclosed financing amount, and IPO underwriting 11 in March, with underwriting scale of 9.356 billion, a sequential increase of +172.94%; 2) Refinancing: March increase The underwriting scale was 8.778 billion, - 9.249% from the previous month; 3) the bond underwriting in March was 842.769 billion, +367.84% from the previous month. Insurance section: As of April 12, China Bond DecadeTreasury yield3.177%, 4.56bps above the chain. The 750-day moving average interest rate continued to rise. Trust section: According to Wind statistics, from March 31 to April 7, 58 new trusts (137 in the previous week) were issued, with a total scale of 4.543 billion yuan (the previous week was 29.266 billion yuan). The brokerage sector is still the preferred non-banking industry. Focus on investment opportunities in the trust sector.